Mother Mother in Montreal or Quebec City? Inform me about the next events for Mother Mother. 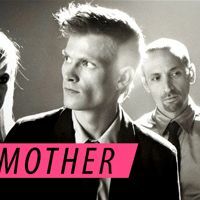 Enroll yourself to our priority waiting list for Mother Mother to be alerted when new tickets are available. Filling this form doesn't engage you to any purchase. The band Mother Mother released a third album on March 15, 2011. We can ear the Vancouver pop rock sound on EUREKA, whose first single is The Stand. In Quebec, the group pointed out to Pop Montreal Festival, Festival International de Jazz de Montreal and Emergent Music Festival (FME), where he won the Prix Étoile Galaxie for his performance.